Abstract The purpose of this study was to determine (a) the current training practices for paraprofessionals as perceived by building administrators, special education teachers, and paraprofessionals in special education programs in the state of Nebraska, (b) the perceived training needs of paraprofessionals, as viewed by building administrators, special education teachers, and paraprofessionals, (c) the differences that exist between current training practices and perceived training needs of paraprofessionals and the differences that exist in perceptions of building administrators, special education teachers, and paraprofessionals, and (d) the changes that have occurred in training practices since 1982. Building administrators, special education teachers, and paraprofessionals in Nebraska were surveyed in reference to their perceptions of paraprofessional training. 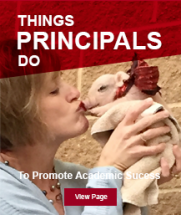 Fifty percent of the building principals and assistant principals, 56% of the special education teachers, and 57% of the paraprofessionals returned surveys for a 55% overall return rate. The data was then analyzed using SPSS. Descriptive analysis, two way ANOVAS along with frequency distributions were used to complete the analysis. The findings indicated that more training is being provided in Nebraska than in 1982. The findings also noted a large discrepancy between the number of hours of training building principals believed was being provided as compared to what paraprofessionals believed was actually happening. There was also a significant finding comparing current practice and perceived need. The findings showed that much more training is needed than is currently being provided in all of the 11 topic ! areas reviewed in this study. These 11 areas included: school policies, legal and ethical issues, job roles and responsibilities, knowledge of disabling conditions, behavior management, tutoring techniques, recording and reporting student behavior, instructional materials, equipment operations, first aid, and job specific skills.